Old office furniture disposal isn’t exactly a piece of cake. In fact, it can easily be quite difficult. This is due to the fact that it’s not just on your schedule. Often times, the commercial moving process involves a property management company. This means you can’t move on certain days or even use the regular elevators. 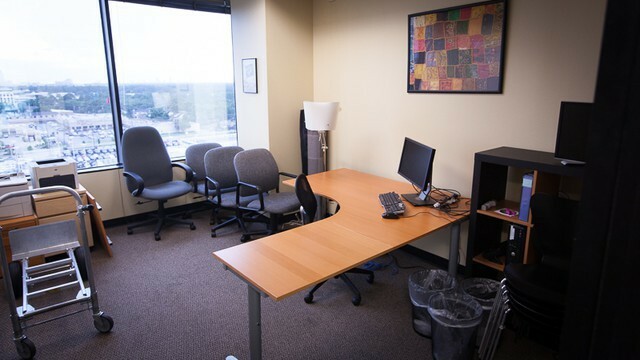 Now, if you want to know how to go about old office furniture disposal, just read on to learn. Part of your everyday need, office furniture serves a big but often unnoticed function. It’s the reason you can comfortably sit to get a day’s work done and part of those hectic meetings. It plays a role in greeting your clients and helps to define the personality of a business environment. However, when it comes time to relocate to another office, it can be a downright drag. What this means is there’s a procedure for getting rid of office furniture. Usually, it’s totally up to you. It’s not possible to just put it outside because it’s not something the local trash collection agency will pick it up. The trick is to organize an office before relocation. This way, you know precisely what’s necessary to transport and what isn’t necessary to move. Sell it to a wholesaler. You can get some cash by selling the furniture to a wholesaler. They’ll probably auction it or sell it in bulk. But, you’ll get something in return. Plus, it takes the furniture off your hands. Sell it to another office. Another option is to just sell it cheap to another office who is in need of furniture. This way, it’s a win-win scenario for all parties involved in the transaction. Donate it to a local charity. You can also consider donating it to a local charity. Be it a church, a shelter, or another type of charity. You’ll receive a tax deduction for it and be rid of it at the same time. If you need help with office furniture removal or another type of job, just phone 800-433-1094 or visit Junk Garbage Removal.